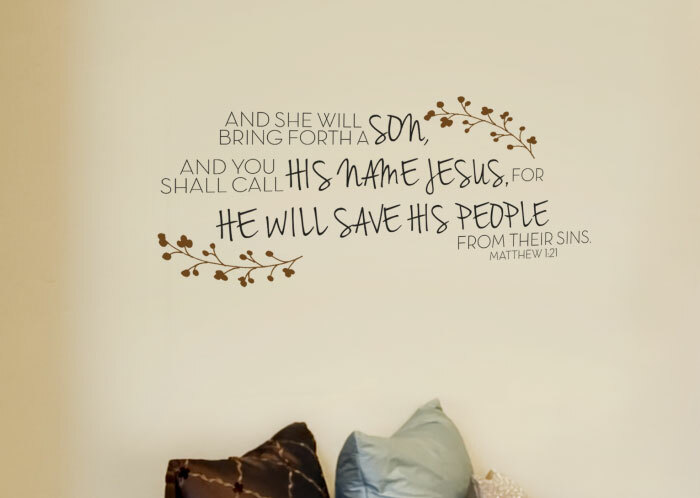 “And she will bring forth a son, and you shall call His name Jesus, for He will save His people from their sins” — Matthew 1:21. An angel of the Lord said these words to Joseph in a dream after he thought about quietly divorcing Mary when he found out that the later was heavy with child. Upon receiving this message, he realized that he was part of the fulfillment of the words from Isaiah 7:14, so he acted bravely by obeying God and marrying Mary. More than Joseph’s faithfulness and desire to honor God with his life, this verse shows how much God loves us when He planned to send His only Son into the world to save us from certain death. In the same breath, it is also a message of how God wants us to live our lives. He wants us to live a life that reflects His perfect love. God wants us to live a life that reflects victory in every way. 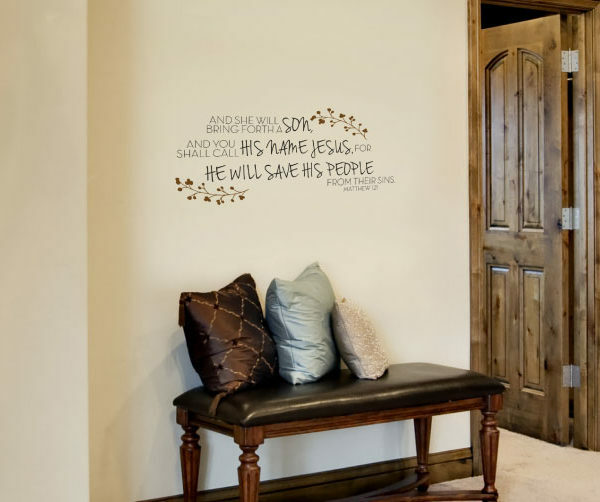 Enhancing our homes with wall words from the Scripture is a wonderful way to refresh our minds, body and spirits. Placing them in common areas, like hallways where we often see them are the most ideal locations. 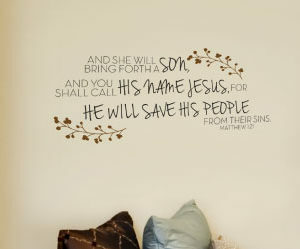 You can customize your wall decals by selecting from our wide range of colors that best compliment your space. With our live design previewer, you can also specify the size you want. We invite you to take advantage of our customer rewards program where you earn reward points on every dollar you spend with us. Please click the ‘How we’re Different’ tab on this page for details.